Public meetings are 7pm on the 2nd Tuesday of each month (except December!). 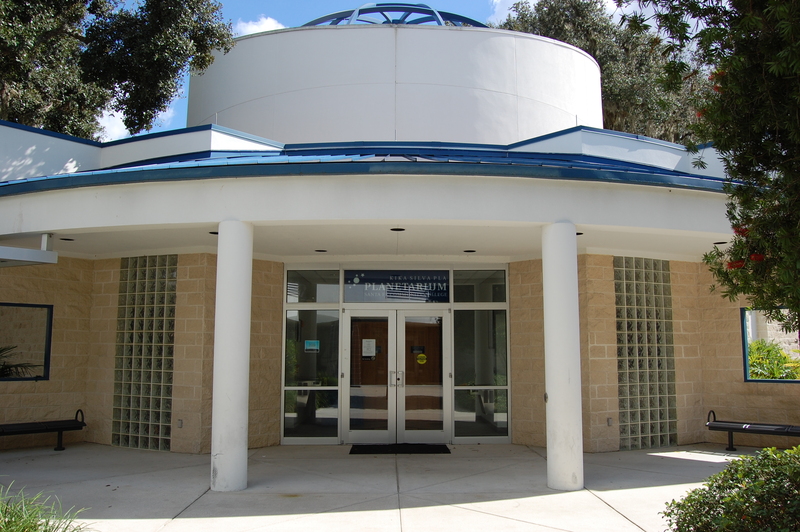 Meetings are either at Florida Museum of Natural History or Kika Silva Pla Planetarium. Please check the Event Calendar for up-to-date information. A list of speakers at public meetings, 1996-2015, is available here. Meetings are held in the Lucille Mahoney Classroom immediately to the left after entering the front glass doors. In addition to hosting Club meetings, the Museum contains fascinating archaeological and scientific exhibits. The Museum is home to the Butterfly Rain Forest and hosts the annual Starry Night event, usually in October or November. James Albury, Planetarium Director, is our host every three months. James takes us on a guided tour of the sky, highlighting seasonal stars and constellations. James is also co-host of the PBS TV Series "Star Gazer." Beginners and advanced amateurs always enjoy the planetarium presentations and experience something new every time.